Episode 131: Christmas is near! New Vaughaligan Walwyn, DJ Radikal in the booth! Here is the playlist for this week's show. We've got a song by Vaughaligan Walwyn FKA Von Won that features Scarface, formerly of the Geto Boys. You don't want to miss it. City Takers and One Accord DJ, Deejay Radikal is in the guest DJ booth too. And you heard right, Christmas music is officially back in the playlist. You can download the show below if you would like to for free. I'm a Creature - D-Maub ft K.A.S. Until next week..grace and peace. Thanks for taking time to listen to the show and visit our page. We are dedicating the second half hour to the victims of the F4 tornado that ripped through the midwest and leveled over at least 500 homes in it's path (maybe more). Please remember to pray for the people that were affected by this natural disaster. We are also celebrating Thanksgiving! We are thankful for God's grace and you, the listener. We appreciate your support over the last nearly 3 years. You can hear new Beautiful Eulogy and The Collaborative as well as some of your favorites. DJ Heat is in the Guest DJ Booth with some "Desert Heat." You can download the show here for free if you like. 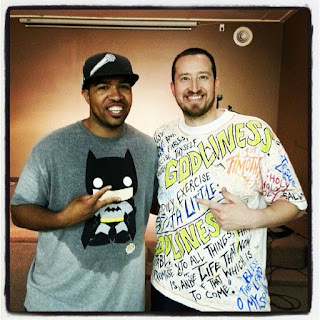 Get Up - Tedashii ft S.O. 1. K-Drama - Can I Be Honest? Thanks for visiting our website and playlist. 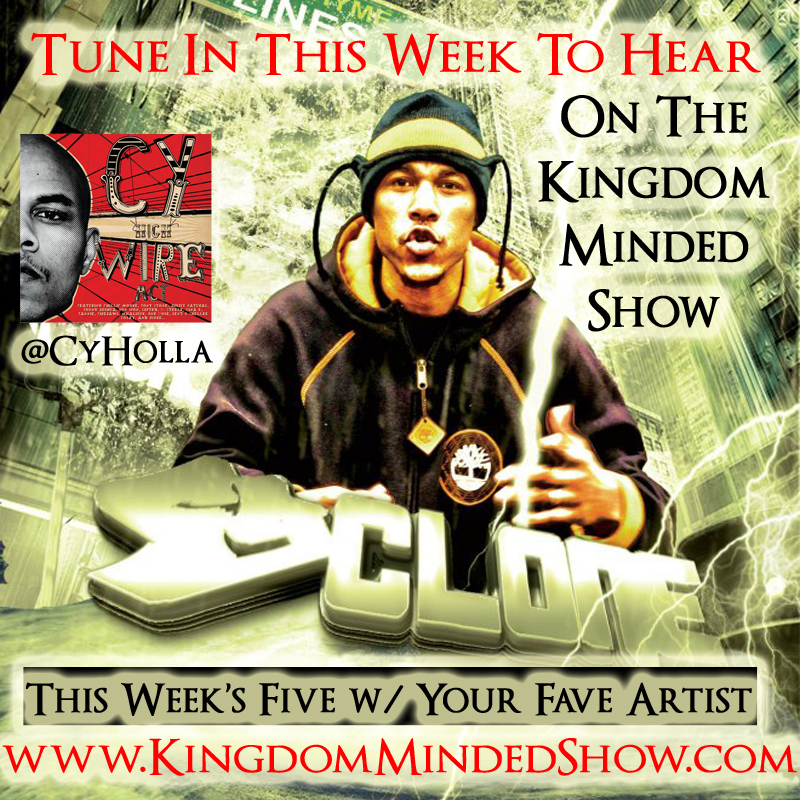 We're featuring the new Lecrae song, new Json, a DJ Mayday Mix, and W.L.A.K. 's "Reign Is Coming" as this week's Fa Sho Shot. 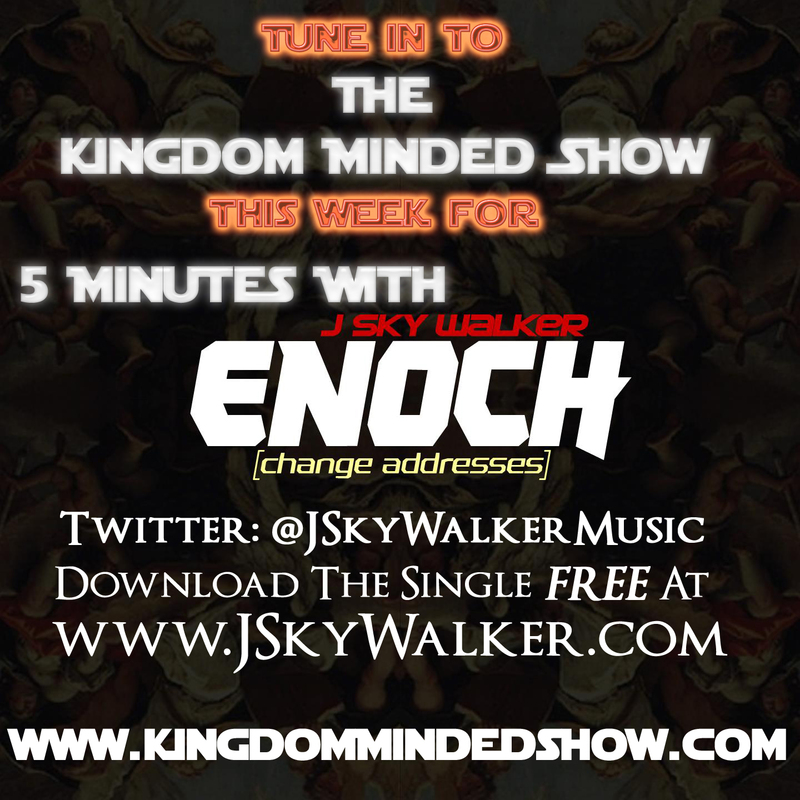 We hope you enjoy the show, as well as being encouraged, challenged and inspired to be more Kingdom Minded. **FA SHO SHOT** Reign Is Coming - W.L.A.K. Thanks for checking out the playlist and our website. We didn't have an interview this week, but the music is flowing fa sho! There is new music by MIA3, J. Kwest, and Canton Jones. 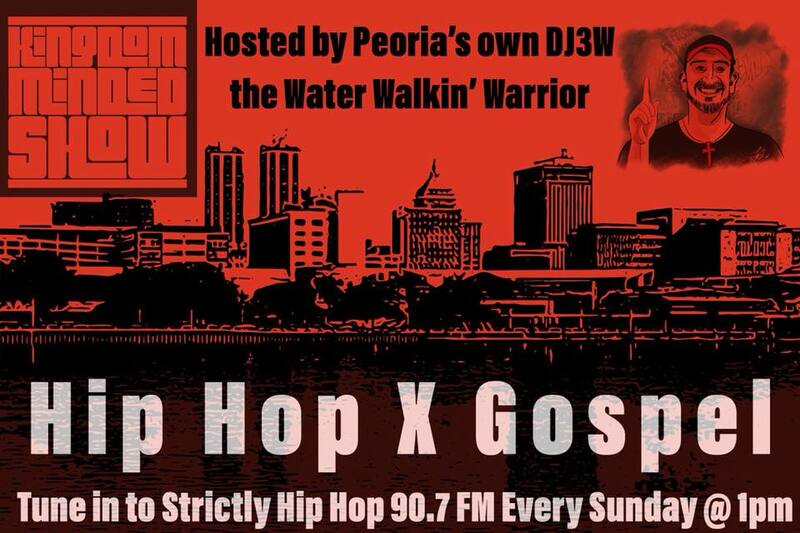 There's a phat freestyle by Willie Will, the Fa Sho Shot featuring Sho Baraka, and a dope mix by DJ Mayday from Springfield, IL. We hope you enjoy the show, but more importantly, that you are inspired, encouraged and challenged by the show. You can download the different sections below. Let us know if you are blessed by leaving a comment below. Here is your playlist. Enjoy and be encouraged to go out and change the world! **GUEST DJ BOOTH** DJ Mayday on the decks! Thanks for tuning in. We are back with a new episode this week. It was a busy last couple weeks and I'll get you all an update on what has been going on. You can click the links to download the show below for free if you like. Christine Curtis Single On iTunes Today! 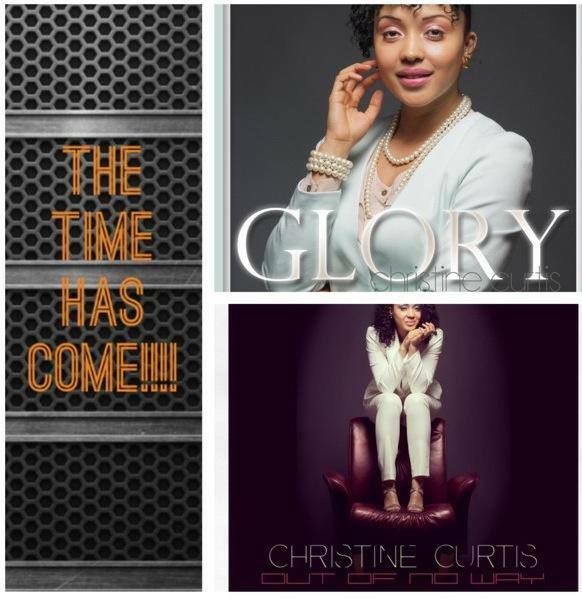 Christine Curtis's new singles "Glory" and "Out Of No Way" are available on iTunes today. Go cop that son! You will be blessed beyond measure by these songs. We appreciate every single one of you that have tuned in to the show. We hope you've been blessed by it. Today, we are featuring Cyclone in our "5 W/ Your Fave" feature. We are welcoming DJ Mayday back with another MegaMixx and he's going to be a regular feature on the show. If you want to hear him do any custom mixes, let us know what you songs you want to hear and we'll let him know. His personal website is www.StreetLightRadio.com. You'll also hear new music by Bizzle and Lecrae today. Before we go any further, we want to also say congratulations to all the graduates in this season! Thanks for visiting the website today. We are featuring Battleground City's Rob "The Ark" Mercury in our "5 Minutes With Your Fave" spot. If you are in Central IL and need a DJ for your summer outreach, hit us up for scheduling. We'd love to come and be a part of your event. Our phone is 775-375-KMRS. 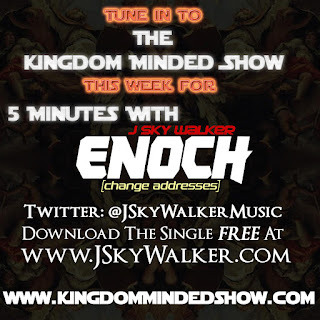 Our e-mail is KingdomMindedRadio@Gmail.com. Here is you playlist. Enjoy. 11. 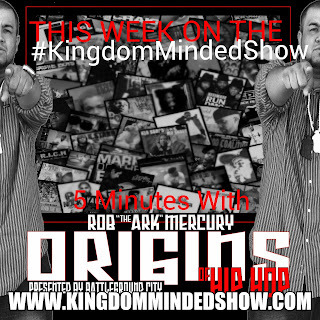 **5 W/ YOUR FAVE** Rob "The Ark" Mercury featured this week. Thanks for visiting the website. We have an exciting show for you this week. We caught up with Mr. "Rear View Mirror" himself, Chris Jackson. He filled us in on the new mixtape and what we can look forward to. We've got tha brand new single by Bizzle and Sevin as well as a Redd Lettaz joint that will have you asking yourself, "Are you serious?" Make sure you plan to come to the FREE Brinson concert tonight at Days of Grace Fellowship. The address is 273 E Queenwood Rd in Morton, IL. It starts at 7 PM and you don't want to miss this energy packed, dynamic night of ministry by Brinson and local group Identity. 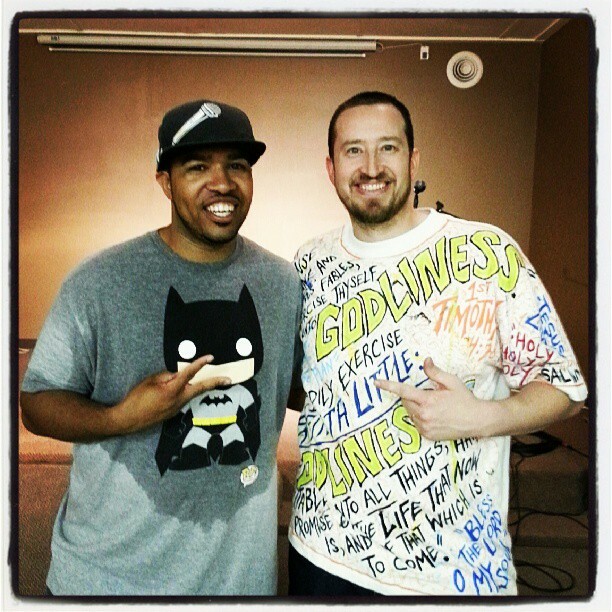 Come out and support the movement of God through hip hop and see for yourself that He can use this for good. Here your your playlist. Enjoy and be encouraged! 8. Lecrae - Confe$$ions (Gravity) Catch the video on BET's "106th & Park"
12. **5 With Your Fave** Chris Jackson is this week's feat. artist!